A spring-themed gardening programme with David Maxwell, including tips on creating a wildlife garden, the benefits of planting a native hedge and growing annual climbers. 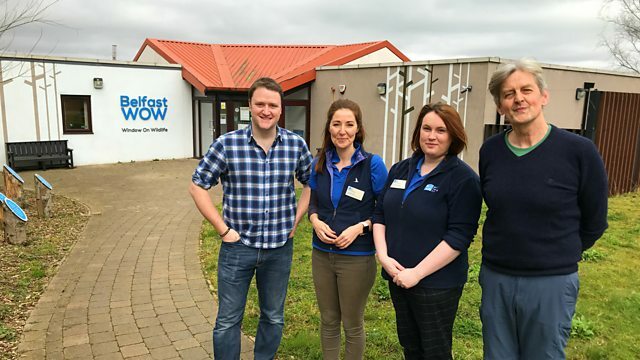 David Maxwell presents BBC Radio Ulster's gardening programme which this week’s visits the RSPB's Window on Wildlife in Belfast's Harbour Estate where a new wildlife garden is being created. Maurice Parkinson joins David in studio to talk about the benefits of hedgerows following recent reports of netting by developers. Also in the programme Maeve Bell describes some Irish-bred plants which are filling her spring garden with colour and Helen Mark visits Conrad McCormack who is planting annual climbers to cover a fence. The programme also returns to Annesgrove in County Cork where Neil Porteous is involved in giving a new lease of life of a grand garden gone wild.